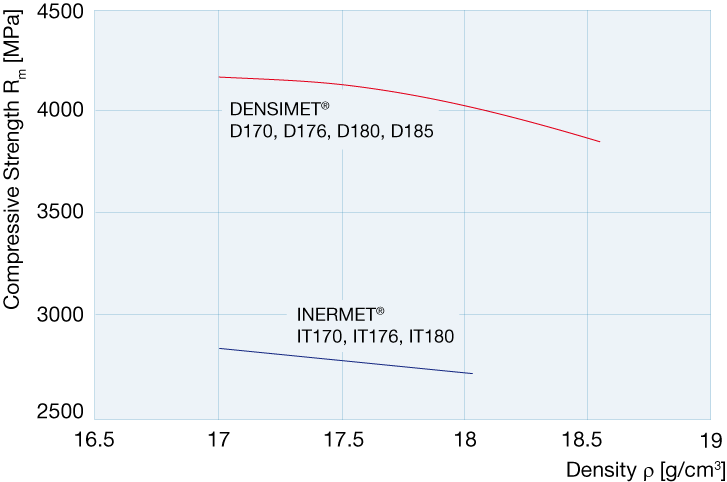 Plansee Densimet® and Inermet® composite materials are heavy metals with a high tungsten content (> 90%) and a NiFe or NiCu binder phase. 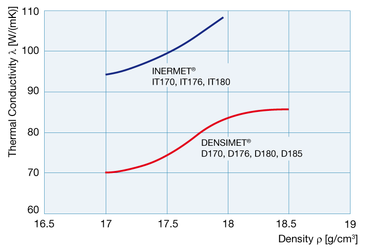 Densimet® and Inermet® tungsten alloys are distinguished by their particularly high density. 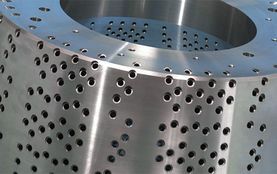 Combined with their ability to absorb radiation as well as their outstanding mechanical properties and machinability, they are the ideal materials for a wide range of applications, such as in aerospace, the automotive industry, medical engineering and the construction industry. Densimet® alloys are also characterised by their excellent strength and ductility, while another clear advantage of Inermet® alloys lies in their non-magnetic characteristics. Heavy metals for technical applications are generally defined as materials with a density higher than that of steel (8g/cm3). 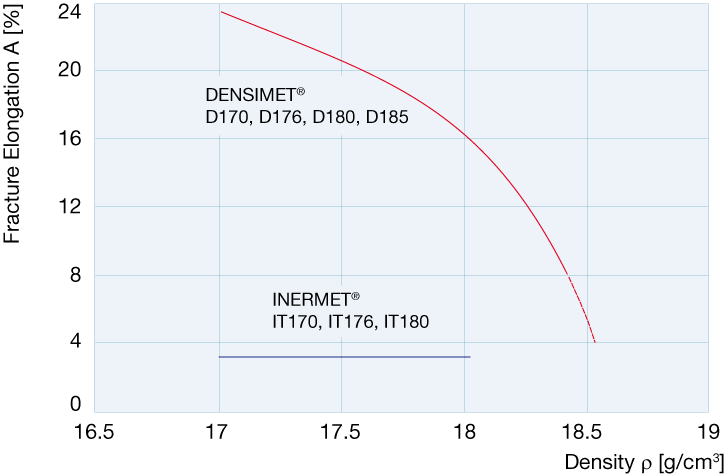 Plansee Densimet® and Inermet® products are manufactured using powder metallurgy. All stages of production, from the powder to the finished product, comply with the Plansee quality standards, thus exceeding the ISO 9001 requirements. 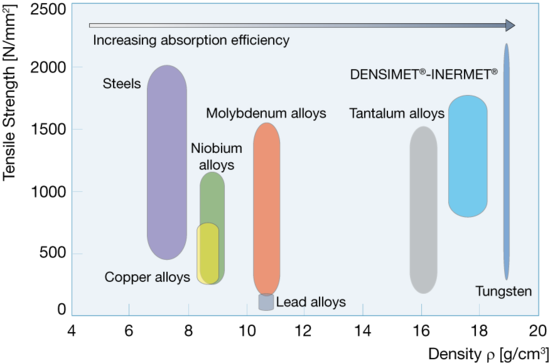 In order to manufacture Densimet® and Inermet®, mixtures of powdered metals are pressed and liquid-phase sintered to obtain a 100-percent dense and solid material. 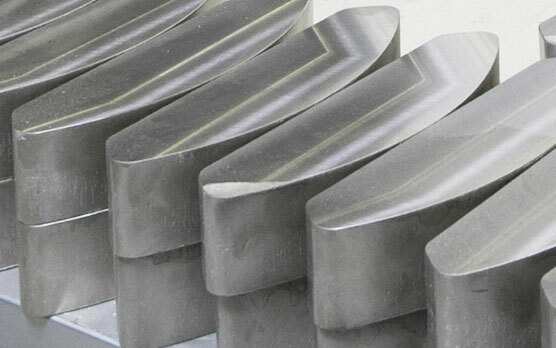 The sintered product can be supplied as a semi-finished product, near-net-shape product or finished product. 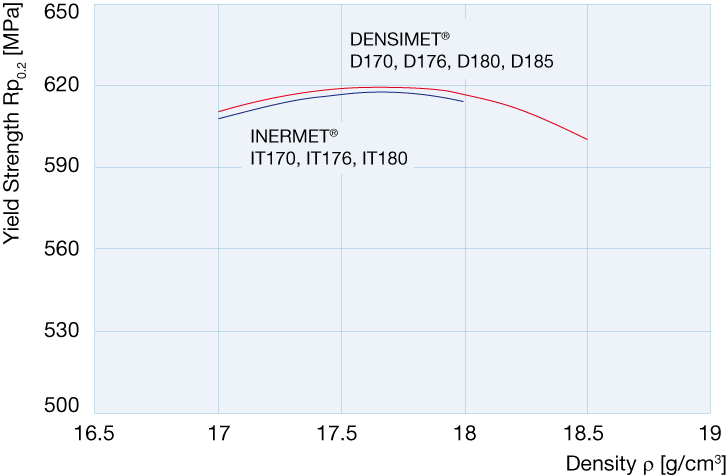 Upon customer’s request, our Densimet® and Inermet® components can be adapted by shaping and heat-treatment techniques to meet specific application requirements. Plansee Densimet® and Inermet® materials comply with the AMS-T-21014 and ASTM-B-777-99 (MIL-T-21014) specifications. With a density in the range of 17 up to almost 19 g/cm3and a high X-ray and gamma ray absorption capacity, Densimet® is the ideal material for collimators and shielding components in radiotherapy. 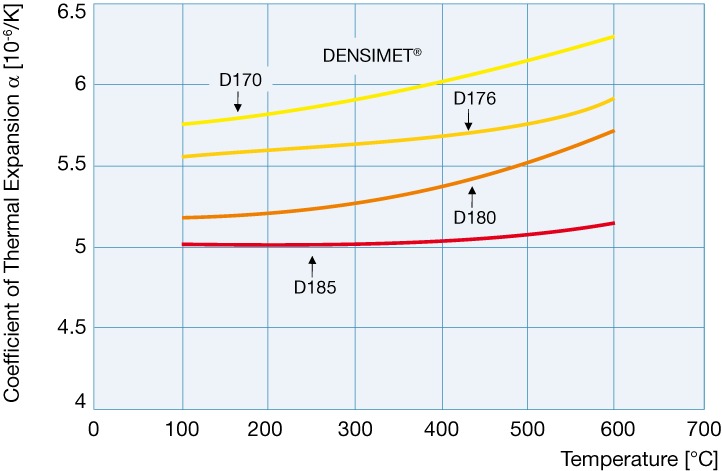 In comparison to other materials Densimet® tungsten alloys have exceptional stability and freedom from distortion. The good machinability of Densimet® allows the production of complex geometries according to customer drawings. standards in terms of traceability and repeatability. Densimet® and Inermet® components are applied for high-performance combustion engines requiring high mass at low volume. 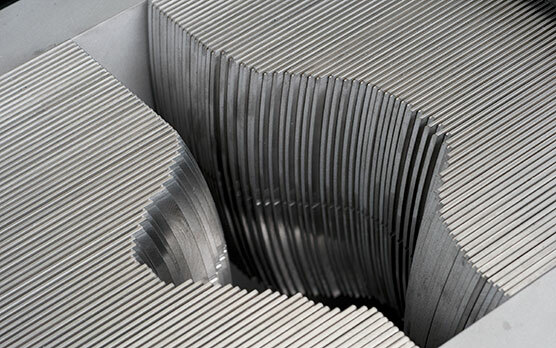 Plansee quality products meet the requirements of engines in Formula 1 vehicles as well as of premium SUVs, heavy goods vehicles and large diesel engines. 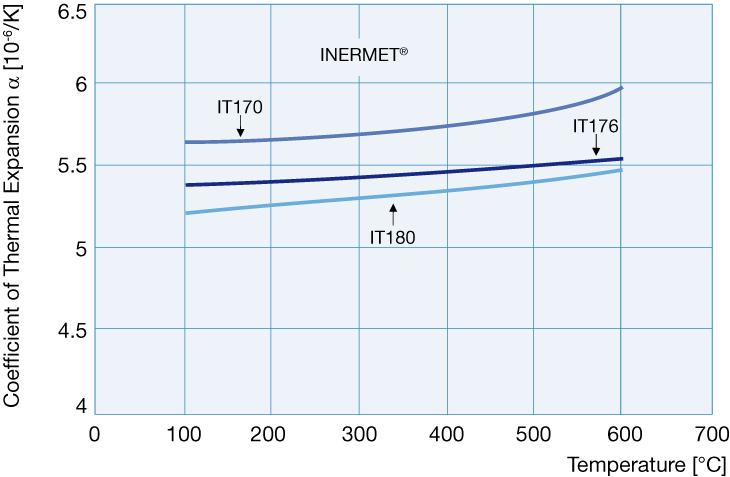 Crankshaft balance weights: One of the main requirements in engine development is to achieve the most compact and space-saving design possible. 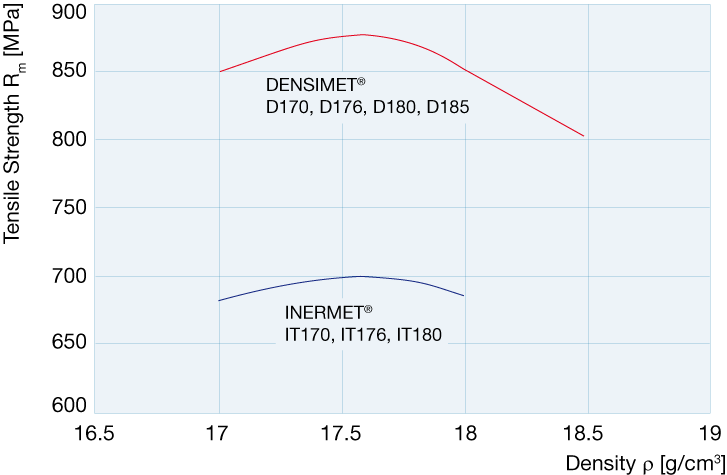 Plansee components made of Densimet® and Inermet®, with a density of up to nearly 19g/cm³, are especially well-suited for use in crankshaft and flywheel balance weights. 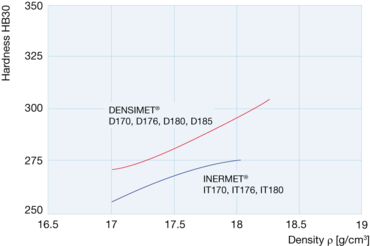 Densimet® and Inermet® are high-strength alloys with high density and good machining properties, making them the ideal solution to improve your products and performance. Densimet® and Inermet® inserts increase the mass forces, thus improving the efficiency of precision devices. 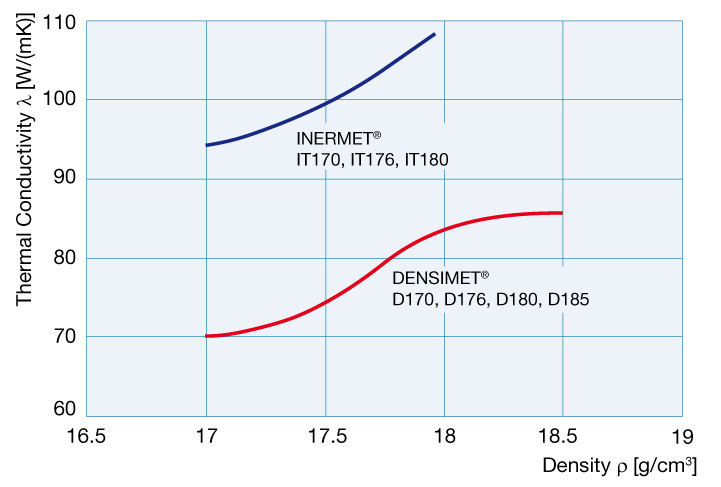 Watch industry: Its non-magnetic properties, combined with its non-porous characteristics and precise machinability, are reasons why Inermet® is chosen by leading watchmakers for use as oscillating weights. Optical Industry: Complex-shaped Densimet® other Inermet® weights are used for balancing microscopes and optical precision instruments. 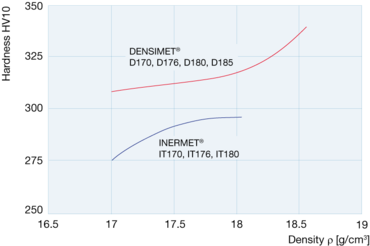 Sports equipment: Densimet® and Inermet® materials are used as a lead substitute for sports equipment in order to protect health and environment. Equipment for the foundation engineering industry: In construction engineering vibratory hammers are used for pile driving. At the heart of every vibratory hammer is a transmission unit with rotating eccentric weights, which convert the vibration energy into sinusoidal vertical forces. 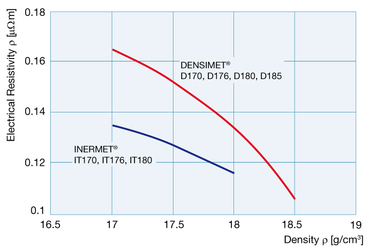 For deep soil compaction out-of-balance Densimet® weights are used to increase the vibratory forces. Oil and gas drilling: Due to the high absorption capacity for X-rays and gamma rays Densimet® and Inermet® are the ideal materials for shieldings or sinker bars in logging tools. 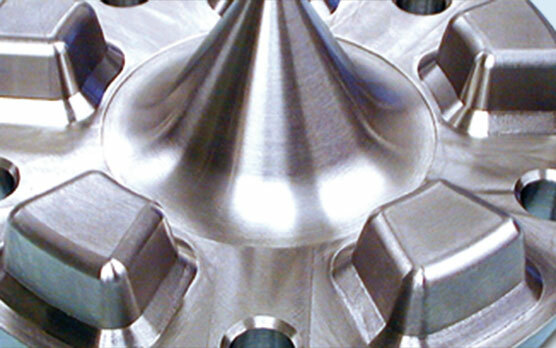 making it the ideal material for tool holders and highspeed spindles. Dimensions from diameter 3 to 62mm and beyond are available from our stock, enabling us to guarantee short delivery times.